As you drive up to the property the first thing you see is the a wide open valley with an unobstructed ocean views as far north and south as you can see. The owners have leveled off a big house site facing the pacific ocean with views from Manuel Antonio, Hatillo river mouth, Isla de cano, big open valley views, and white water views of waves crashing on the beach. There is also a stepped down flat area which would be perfect to build a guest house or rancho to enjoy a glass of wine at sunset. 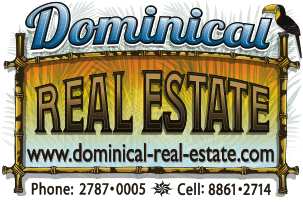 This property comes with about 100 meters of road frontage where you will find a number of mature cashew trees, bananas, plantains, and pineapples. You are 15 minutes from the town and beach of Dominical where you can enjoy the night life and surf during the days. You will find grocery stores, a bank, organic markets, great restaurants, fishing, and a great beach to relax on with the family. You are also about 45 minutes to the town of San Isidro the fastest growing city in Central America where you will find everything you need. Water and electricity are to the entrance of the building site with very easy access. Siting ocean side above the public road you wont be bothered or even notice the occasional car passing by. This building site is more than big enough to build a main home, pool, and guest house.